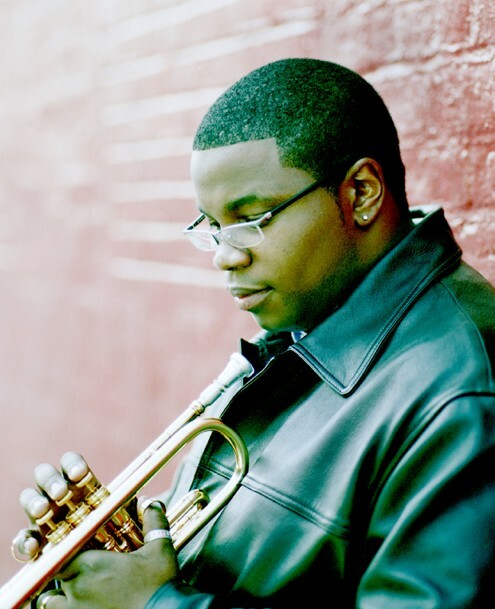 Trumpeter Jeremy Pelt will be joining Cedar Walton, Lew Tabackin, Ken Peplowski, Lea DeLaria, Howard Alden, Peter Washington, and Kareem Riggins for the Newport Jazz Festival 50th Anniversary Tour concert at Zellerbach Hall in Berkeley on Friday, March 19 at 8:00pm. 2004 marks the 50th anniversary of the first American jazz festival: The Newport Jazz Festival®. Known for the past few decades as the JVC Jazz Festival Newport, R.I., the event is regarded by many as the single most important event in jazz. Produced by George Wein’s company, Festival Productions, Inc., this year’s festival will celebrate this golden anniversary as well as the jazz icons who have made the event legendary. Founded in 1954, the Newport Jazz Festival is acknowledged worldwide as the Grandfather of all jazz festivals. Born from the vision of New England socialites, Elaine and Louis Lorillard — who wanted to bring jazz to their community, and created by jazz impresario, George Wein, the event was an immediate success. Its inagural year featured Ella Fitzgerald, Dizzy Gillespie, Billie Holiday, Errol Garner, Gerry Mulligan and other greats, and was hailed by local and national media as a groundbreaking sensation. This entry was posted on Sunday, March 14th, 2004 at 2:38 pm. It is filed under Music News/Info. You can follow any responses to this entry through the RSS 2.0 feed.